The Collab Blog: Read, Speak, Listen and Write - All in one activity! Read, Speak, Listen and Write - All in one activity! 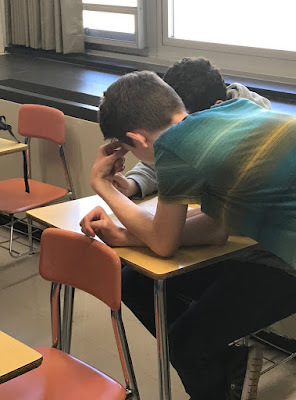 First, A shout out to Kirsten Fletcher for emailing the Collab Lab team with an invitation to visit her French classes to see her students engaged in a Running Dictation Relay Race. Intrigued, we stopped by to find some students wandering around the room reading the walls, other students sitting at their desks seemingly waiting, and small groups of students crowded around one of their desks. Kirsten explained the "method to the movement" that got all of her students--collaborating in groups of 2 or 3--engaged in using the language in all modes: reading, speaking, listening, and writing. One student in the group goes to read one of numerous sentence strips posted around the room. The student reads the sentence as many times as necessary to memorize it. The student who reads the sentence reports back to the group and recites the sentence from memory to his partner(s) who must listen and write the sentence accurately, exactly as it was written. If the student who read the sentence forgets any part he can go back, re-read, then return to help his partner fill in the gaps. 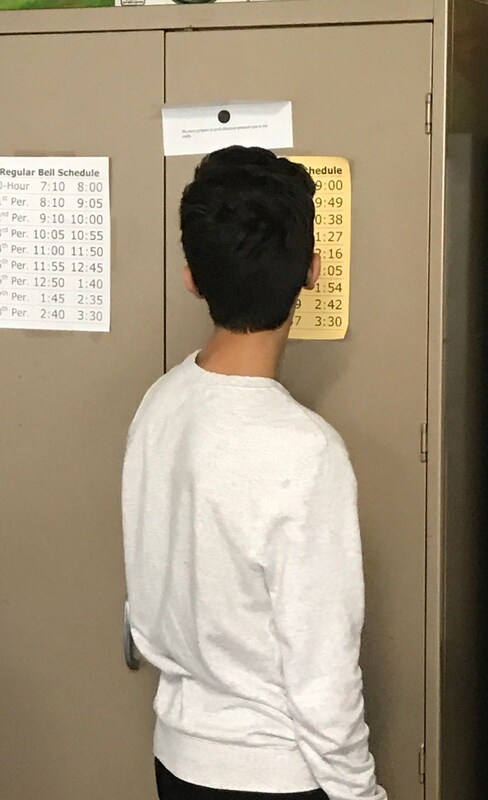 The students repeat this process with each of the sentence strips around the room, until they have all of the sentences written correctly. While this activity is great for World Language classes to get students up and moving and using all modes of communication, it could be adapted easily in any language arts classes. The content of the sentences could be easily modified to adapt to any level of language learners. The activity could involve varied extensions as well. For example, sentences from a story could be posted in random order. Once completely written, the students would have to put them the correct order, building an additional layer of reading comprehension. Kirsten is thankful--and would like to give credit to--her #langchat colleague Martina Bex for sharing this activity.